Silicon Valley continues being the biggest complex for innovation worldwide, but we should also turn our eyes to the second in rank – Israel. Technological and revolutionary startups give this Middle-East country an important role in the worldwide dissemination of technology and know-how. How can a country devastated by conflicts trace a successful path in innovations? The answer is in the country’s enterprising culture. More than a research center, Israel has become a place of creation and innovation. The Waze app, a navigation system based on data from satellites and also information sent by users, was thought of and developed in Israel. Due to its success, the app was bought by Google and is among the greatest sales winners in the technological history of Israel. The country is not known as innovative without reason – according to OECD (Organization for Economic Cooperation and Development) Israel invests 4.4% of its GDP in research and development. To propagate scientific practices, joint initiatives were strategically established. The Israeli Ministry of Industry, Trade and Labor, for example, created the Office of the Chief Scientist (OCS) that promotes the policies to support innovation and industrial entrepreneurship in the country. 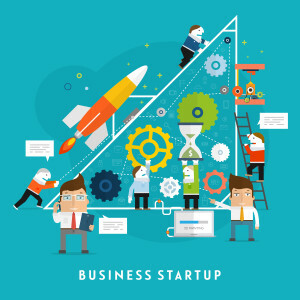 The program stimulates the Israelis to positively exercise their creativity to benefit entrepreneurship and the country, by granting subsidies of up to 50% of the projects costs. Surprising as it may be, Israel is not the most enterprising country in the world, despite its encouraging programs and basic education oriented toward the creation of the new. According to a worldwide research of GEM (Global Entrepreneurship Monitor), Brazil is the world most enterprising country. But, then, what is the reason Brazil is not among the world biggest technological centers? The answer is a stalemate: there is much entrepreneurship and lack of innovation. Despite its potential, Brazil suffers from a lack of incentives for research that could improve the amount and quality of the technologies. Brazil could find a solution to this issue looking at and using the Israeli experience. By means of encouraging government policies, the Israelis constantly promote exchanges among entrepreneurs, managements and authorities, which bring fundamental economic results for the growth of the country. And above all, the propagation of novelties and disruptive technologies always. dress in a lace wig is promote healthy hair when possessing flexibility. well toned wig limit underneath the lace wig for additional stability although some merely remember to brush their your hair back and then implement. If you wish to wear the wig cap ensure that it complements the skin sculpt. You may braid the hair underneath the cap or simply place it. needs to be twisted across the go both on the top of a consistent wig limit or right to your hair. Make sure to cleanse your hair line with rubbing liquor and let it dry totally.